The latest Lamborghini gets an extreme tuning job from the crew over at RENM Performance. 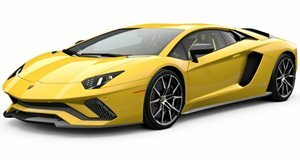 With a 2.9-second 0-60 time and a 217 mph top speed, the Lamborghini Aventador is undoubtedly one of the most capable performance machines ever to grace the road. After all, a 690-horsepower V12 will do that for you, particularly when placed in an advanced carbon-fiber chassis. The crew over at RENM Performance, however, is keen to enhance that with a track-ready tuning program. The result it calls the Aventador Limited Edition Corsa, or LE-C. Influenced by the Aventador J (the epic one-off roadster that debuted at March&apos;s Geneva Motor Show), the LE-C takes the Aventador&apos;s edgy design to new levels. The package consists of a carbon fiber aero kit, electronically operated rear wing, race-spec brakes, adjustable suspension and exclusive lightweight wheels. "We wanted to retain the original design lines while enhancing and making improvements across the entire platform," said RENM of the project. The tuner also fitted a variable titanium exhaust, air intakes and an ECU remap for a 10% boost in output. The interior also boasts carbon fiber accents, optional lightweight racing seats, carbon steering wheel and loads of Alcantara for a racier cockpit.